« The snow is still here…. Here is a beauitful express of art, but it is not your average creation. 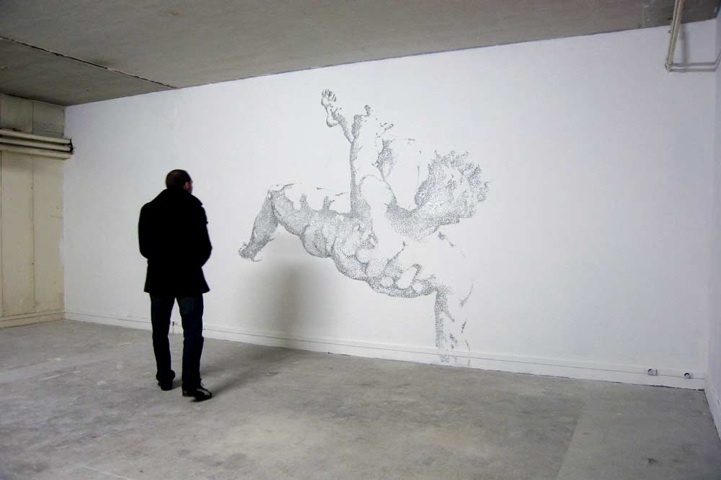 Baptiste Debombourg creates incredibly detailed art and doesn’t use a drop of paint. His medium is something we use at the office….. 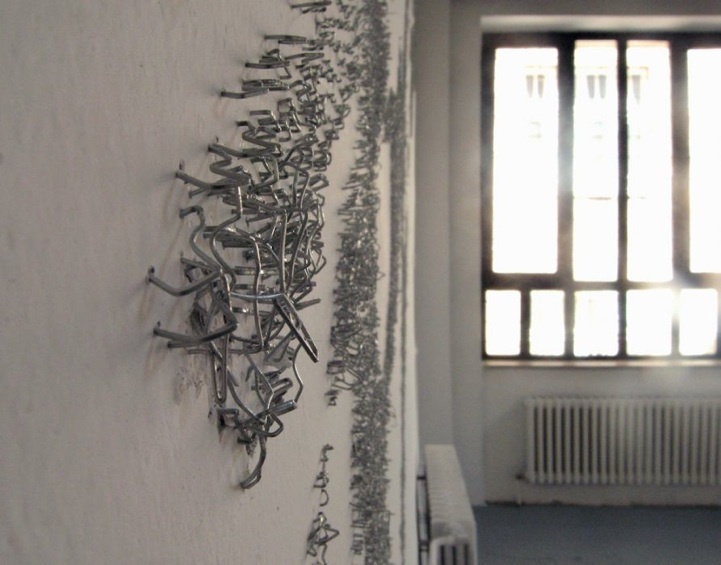 Using just a white wall as his backdrop, Debombourg carefully placed 35,000 staples over a period of 75 hours to create two pieces of art. These are titled Air Force One and Air Force Two.